(Courtesy of Stearns County Auditor / Division of Land Management. Who owns land in Minnesota? How much is publicly owned and how much is private? This overview site provides links to information available to help answer such questions, ranging from property boundary maps to statewide inventories of public land to fascinating histories of how land ownership patterns developed over time. Property boundary basemaps and ownership records are maintained at the county level, usually by the recorder's, assessor's or land surveyor's office. Many counties keep records in digital format and an increasing number of counties are providing property information websites for use by the general public. The boundaries shown on the maps and the GIS data sets are approximate -- they are not substitutes for certified property surveys, legal property descriptions or detailed plat maps. Property records may also be referred to as parcel, cadastral, real estate or real property records. Several inventories have assessed overall patterns of public land ownership in Minnesota. These inventories are snapshots in time, primarily from the mid-1980s and earlier, and are intended for overview and general planning purposes. Online and printed maps, atlases and reports reveal historical land ownership patterns and describe underlying forces influencing the ownership landscape we see today. 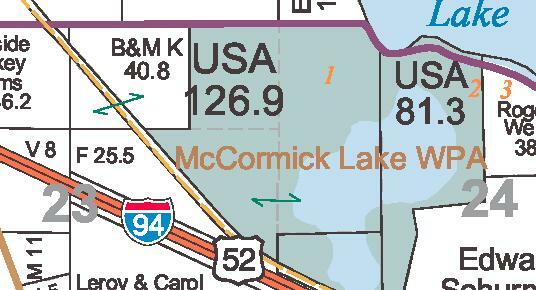 View or download digital copies of historic Minnesota township plat maps collected during the original Public Land Survey.